For those readers that haven’t yet preordered their iPhone 4S, we got Best Buy news that might interest you. The tech retailer has begun accepting preorders for Apple's newest handset at each of its stores. Best of all, the company is offering up to $300 for an iPhone 4 as part of its Phone Trade-In offer. As you are probably aware, iPhone 4S preorders began today via Apple, AT&T, Verizon, and Sprint. Now, Best Buy is joining in on the fun too. Simply visit any Best Buy store today and place an iPhone 4S preorder. The company is guaranteeing your handset will be available for pickup on Friday, October 14th. As an added bonus, Best Buy will accept iPhone 4 trade-ins for up to $300. This will come via a Best Buy gift card. As a reminder, iPhone 4S preorders began today at 12 a.m. PDT. 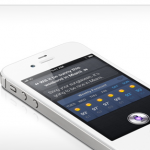 The iPhone 4S arrives in the U.S., Australia, Canada, France, Germany, Japan and the U.K. beginning Friday, October 14. By the end of October (likely October 28), the new phone will arrive in 22 more countries. These include: Austria, Belgium, Czech Republic, Denmark, Estonia, Finland, Hungary, Ireland, Italy, Latvia, Liechtenstein, Lithuania, Luxembourg, Mexico, Netherlands, Norway, Singapore, Slovakia, Slovenia, Spain, Sweden and Switzerland.